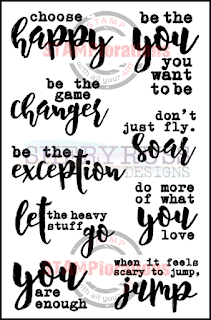 It's Inspiration Tuesday at STAMPlorations, and this week we're featuring Shery Russ Designs, the stamps made by Shery, the creator of STAMPlorations. 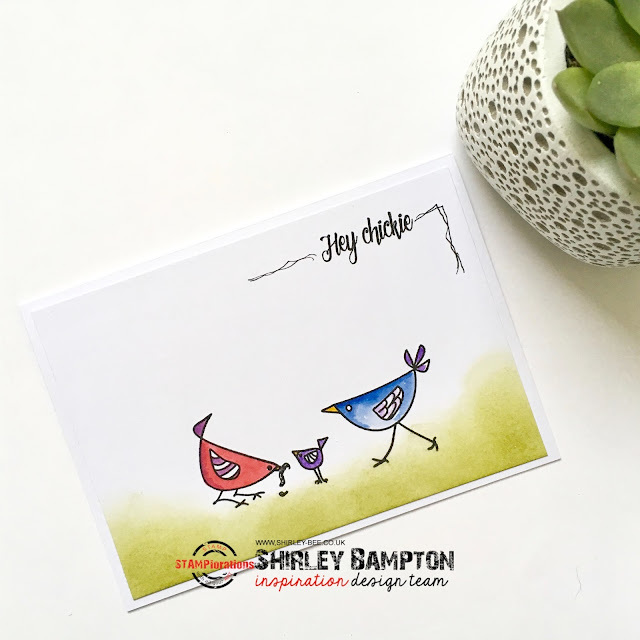 There's 10% off all her range this week, with 20% off Oh So Grateful stamps and coordinating die set - no coupon needed. 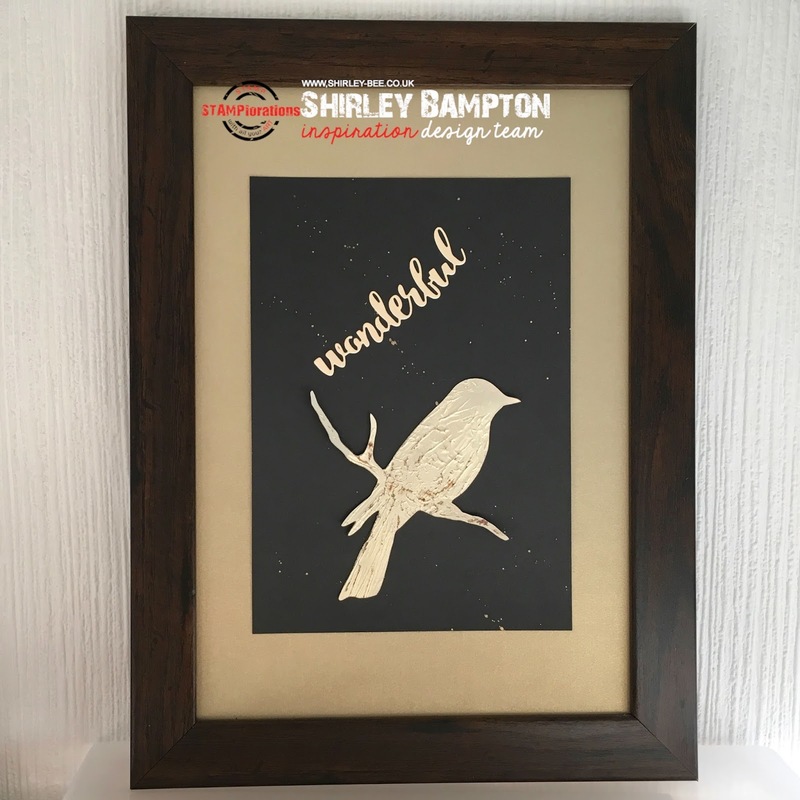 I've used the frame and a flower from Floral Bliss, and a sentiment from Blossom Overture. I found a panel in my stash that just had gold paint on it. I'm pretty sure it's Tarnished Brass Distress Paint, and I can't remember if I used a mini brayer or credit card, but either way, it was smeared onto the card. 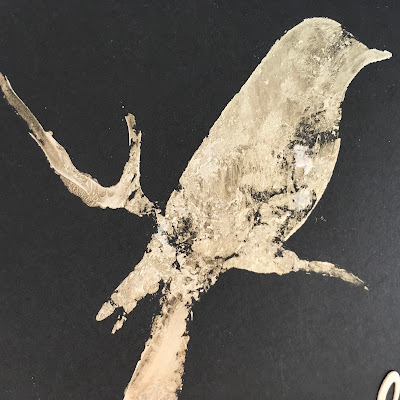 I dipped and smooshed the card in Distress Inks (Aged Mahogany, Pickled Raspberry, Fossilised Amber, Frayed Burlap). 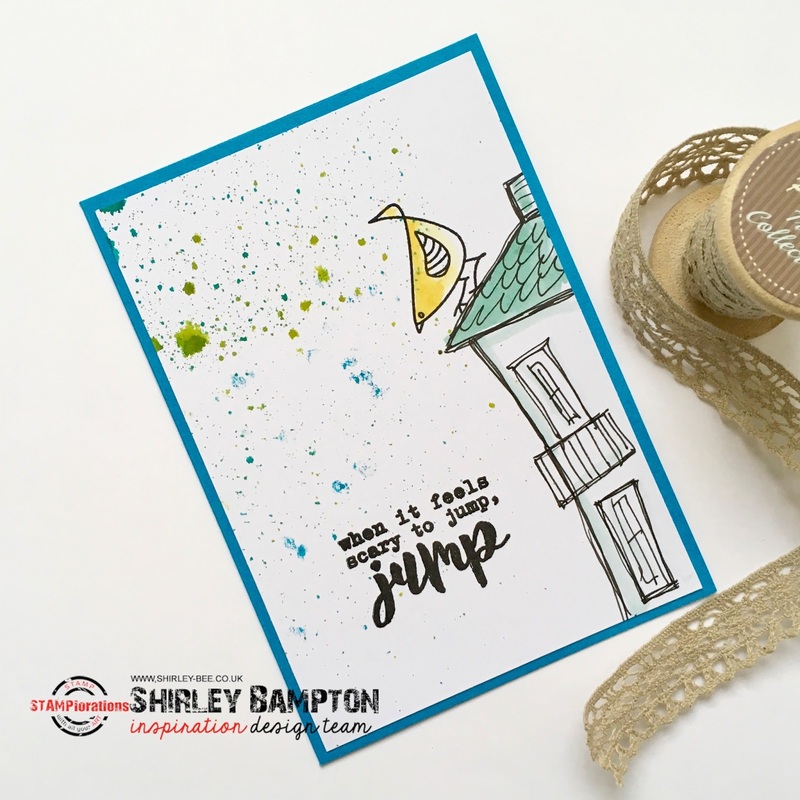 The gold paint resists the ink. 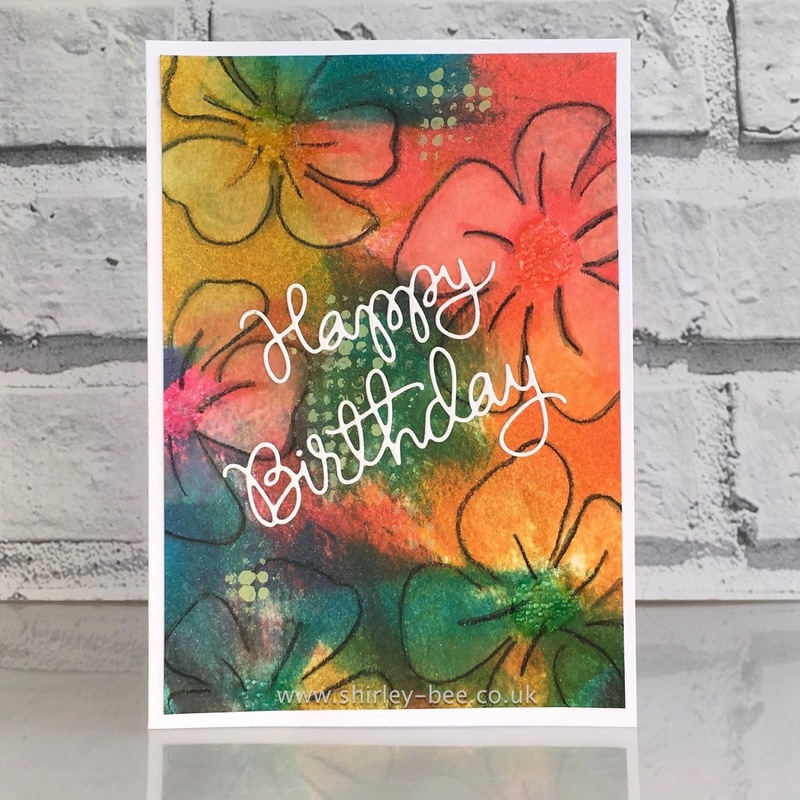 I coloured the flower with Distress Ink, and again the paint resisted the ink, giving a nice mottled appearance to the flower. 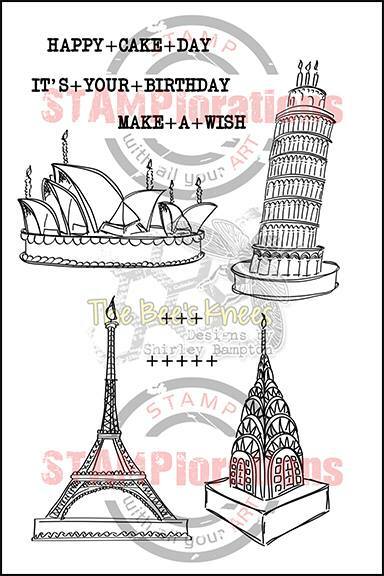 Then pop over to the STAMPlorations store to browse Shery's stamps. 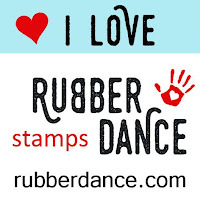 If you use my code STAMPGIRLSHIRLEY you'll get 20% off any stamps, dies or stencils in the store, even on sale prices! But before I tell you about that, a card. 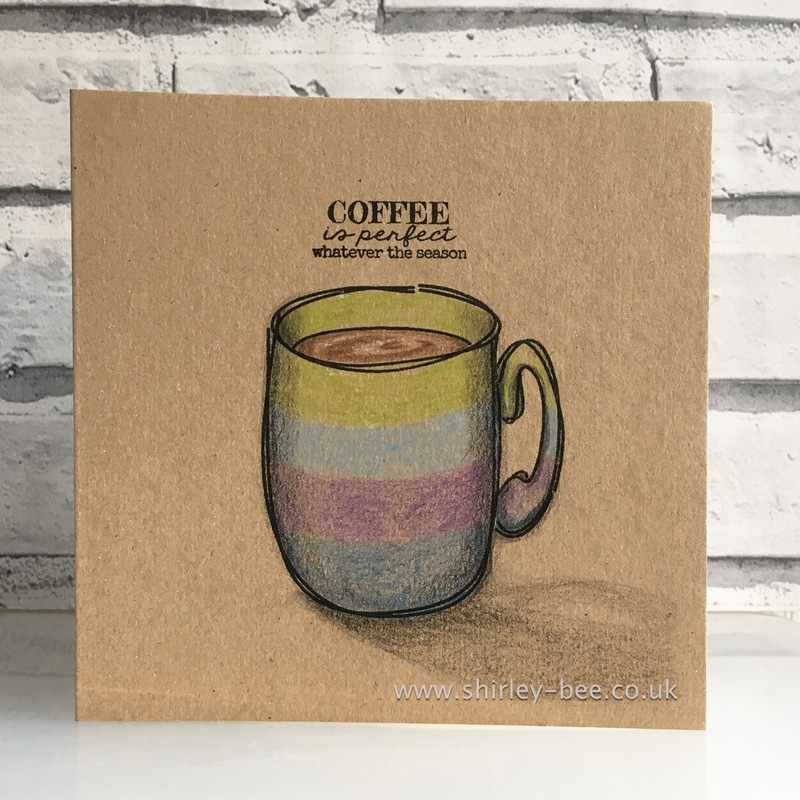 I'm playing along with Darnell's 5th blogaversary NBUS party, where the prompt is twofold: use some NBUS, and coloured pencils on kraft. 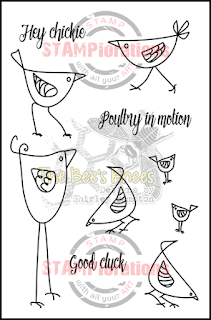 My NBUS stamps are The Bee's Knees Winter Mug and Shery's Coffee For All Seasons. These were released in November, but because I was away I didn't get to play with them until now. So. Back to the bog. DH was going out to do a bit of shopping and take the dog for a walk. I'd gone into the bathroom, and as I turned the door handle to come out, the spring broke, and the handle was turning nothing. I climbed on the bath to shout out of the window only to hear the car driving off. B*gger! So I emptied the bathroom cupboard looking for anything that I could improvise with, but surprisingly there were no screwdrivers, lock picks or hammers in there. DH could be gone for a couple of hours, so I cleaned out the now empty cupboard and sorted the contents. Did some exercises. Cleaned a bit more. More exercises. Only half an hour had passed.... Fortunately for me, Florence isn't too good on her pins right now, so DH was back fairly soon. Me (shouting through door): Can you come up here? Me: Can you open the door please? DH: Well, I had my mobile on me, you should have rung. Currently there is no handle on the door, but there is a screwdriver in the cupboard. I wouldn't care, but this is the second time it's happened to me. A few years ago we were in Thailand, we'd checked out of the hotel earlier, but used the shower facilities before our journey to the airport. DH went first while I sat with the hand luggage, then I went. There was a changing room and separate shower room, so I got undressed, showered, went back to the changing room, and it had locked me out. There was an English lady drying her husband's underpants under the hand dryer (I kid you not) and she offered to get the receptionist to sort it out, but there was obviously a language problem (or she'd run off laughing, not sure which) and nobody came. So out I go into the hotel lobby, draped in two towels, trying to attract DH's attention. I certainly attracted attention, but it took a while to get DH to look at me ;) Eventually one of the hotel porters was sent around the back with a ladder to climb through the changing room window and unlock it from the inside. Meanwhile, another porter had loaded our bags onto the wrong minibus, and our suitcases were already on their way to the airport... fortunately I had my change of clothes in the hand luggage. Then, when I got to the airport, I went to the loo and realised I had my knickers on inside out. But there was no way I was jinxing things and changing them!!! 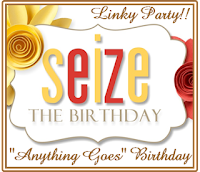 Welcome to Seize The Birthday, where our theme for this challenge is Dashes and Doodling. 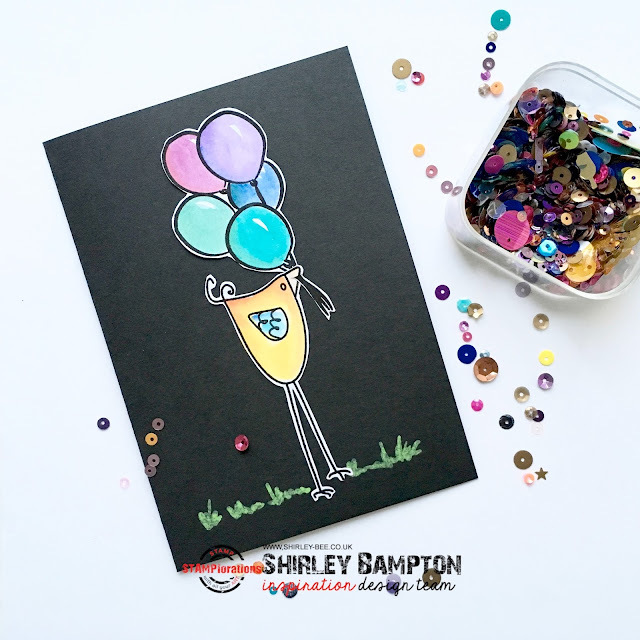 This is another card for my great-nephew's stash of birthday cards for his classmates. 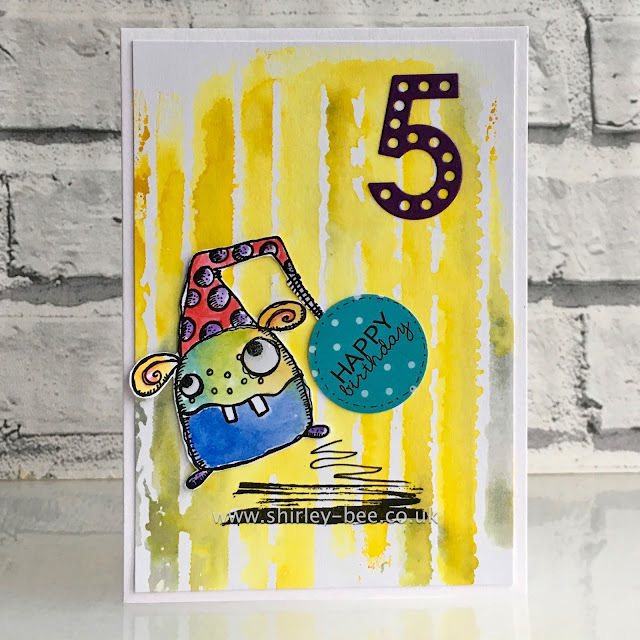 The little monster is from a PaperArtsy set by Elina Zinski. I watercoloured him with Distress Inks and fussy cut him, added a pre-printed sentiment circle that already has dashes on it, then adhered it to a base that I had in my stash. 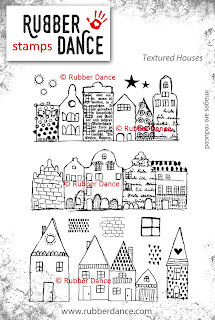 I stamped the brushstroke then added some doodling above it to make it look like the monster is jumping or bouncing. 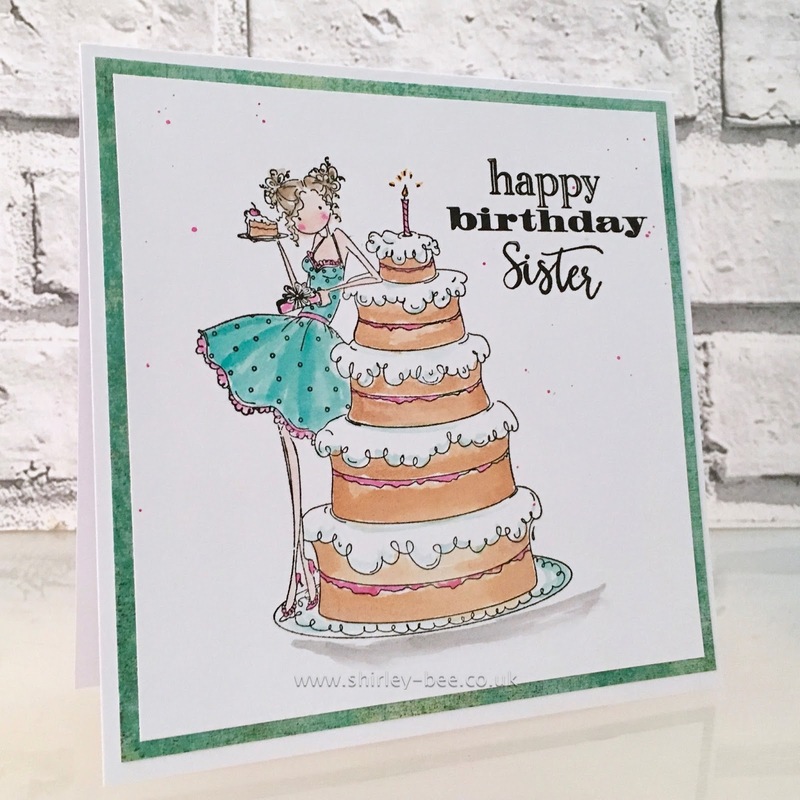 Some glossy accents on the eyes and a die-cut 5 complete the card. Pop on over to the Seize The Birthday blog for some more fabulous inspiration from the team, and join in with us. 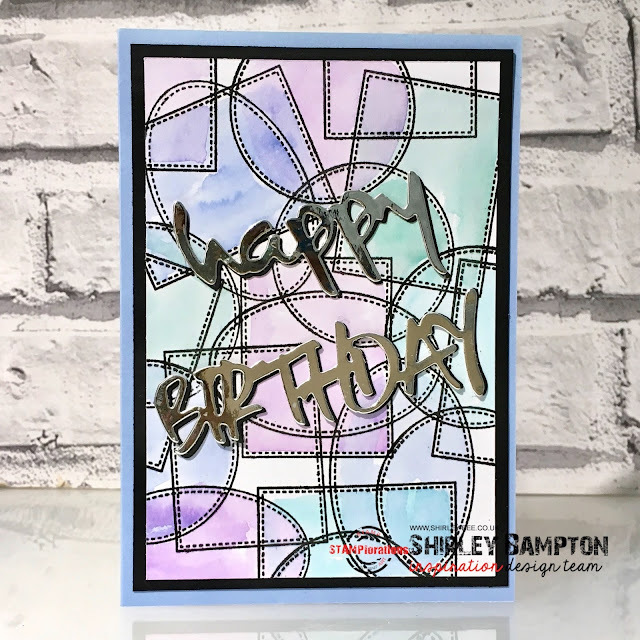 If you don't want to use dashes or doodling, you can still play along with any birthday project. 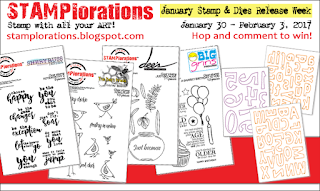 It's Inspiration Tuesday at STAMPlorations, and this week we're spotlighting Becca's Big Grins stamps, with 10% off (no coupon needed) and 20% off her Bunnies 'n Beans set. Scroll down to the end for even more discounts! Today's post is brought to you by the number FIVE. 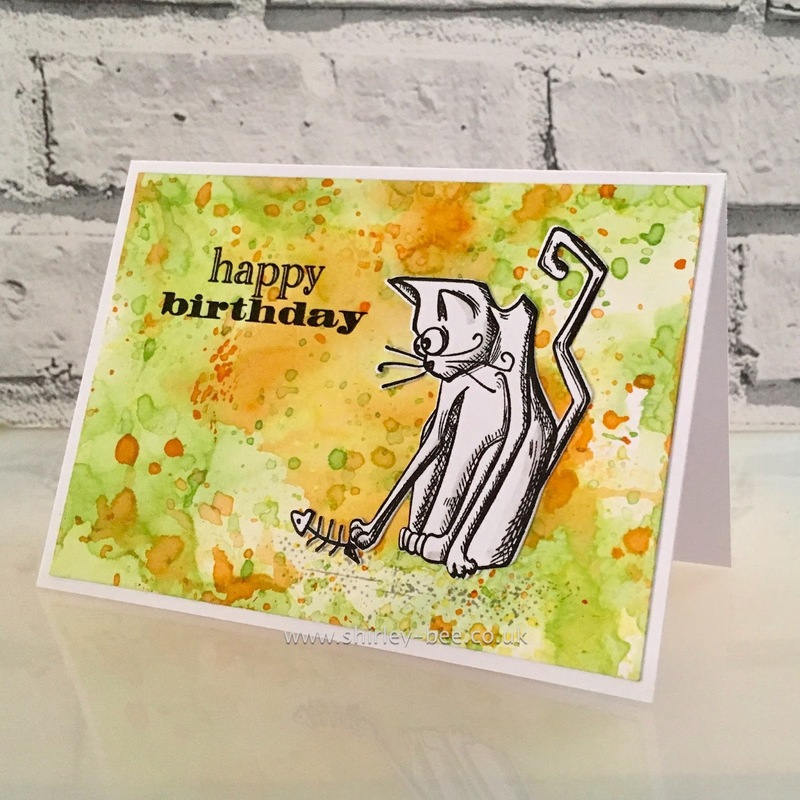 I've been commissioned to make several birthday cards for five-year-olds, the classmates of my great-nephew, so the pressure's on (purely self-imposed!) to come up with something different each time. 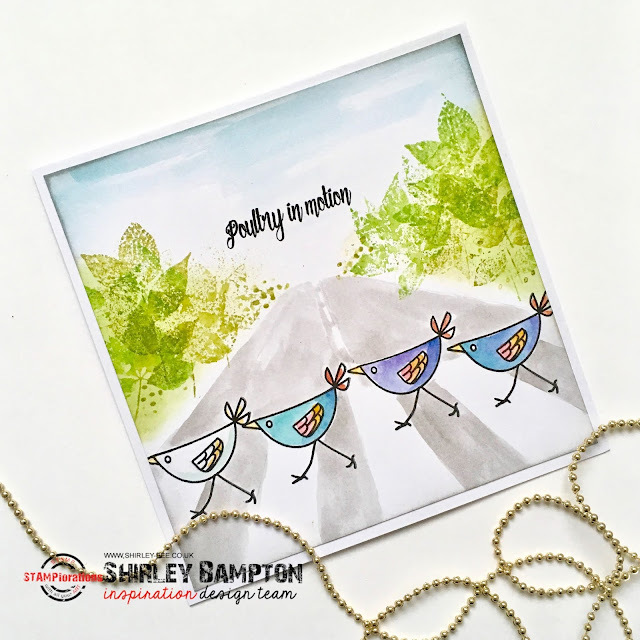 For this one, I stamped the pterodactyl from Becca's Dino Things and watercoloured it with Distress Inks and fussy cut it. I already had the background in my stash. 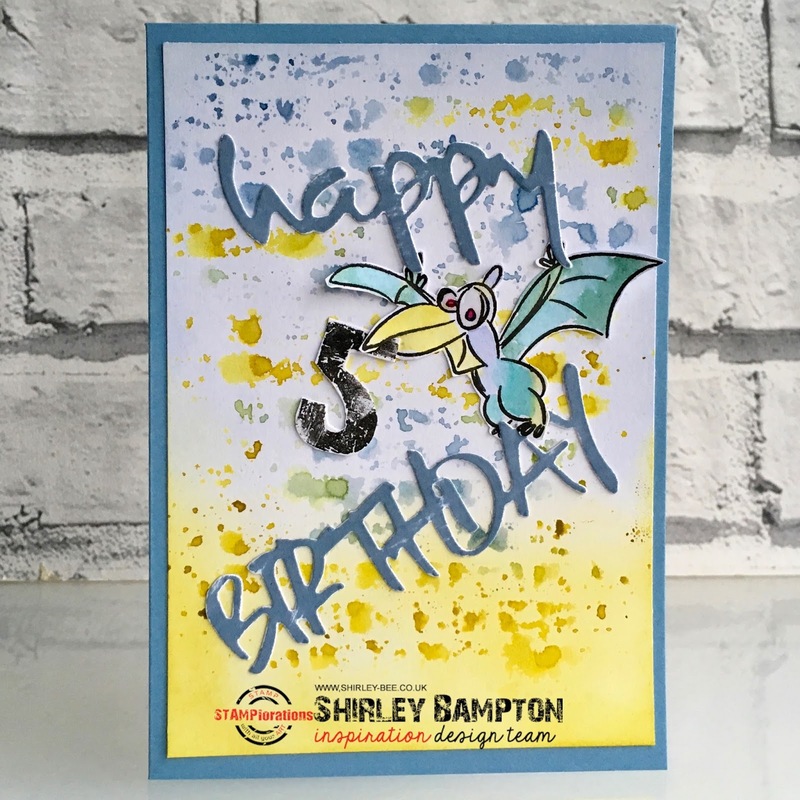 I diecut the Happy and Birthday and swiped Stormy Sky Distress Ink over them, then arranged them so that they were in the pterodactyl's claws. 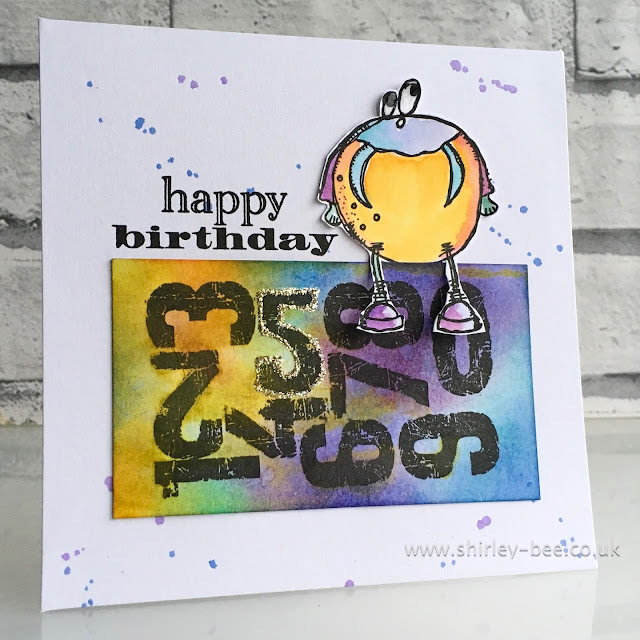 I stamped the Texturized Big Numbers in VersaFine Onyx Black, then cut out the 5 and popped it in the pterodactyl's beak. 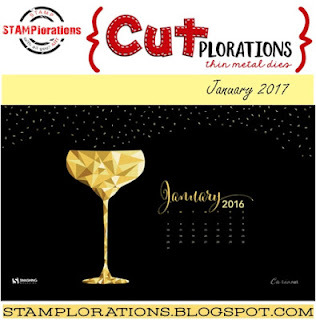 It's our first Craft Stamper Take It, Make It of 2017, and we've got a little change for you. It seems more of you play when it's Take A Stamp month (i.e. Anything Goes with a stamp) than you do when it's a set theme. 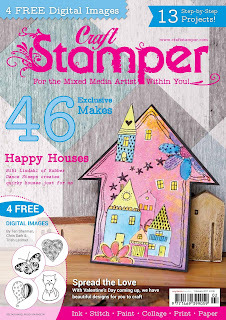 So we've abandoned the themes and from now on it's Anything Goes with a stamp every month. This month's sponsor is Rubber Dance, and one lucky random winner will get this fabulous stamp plate. 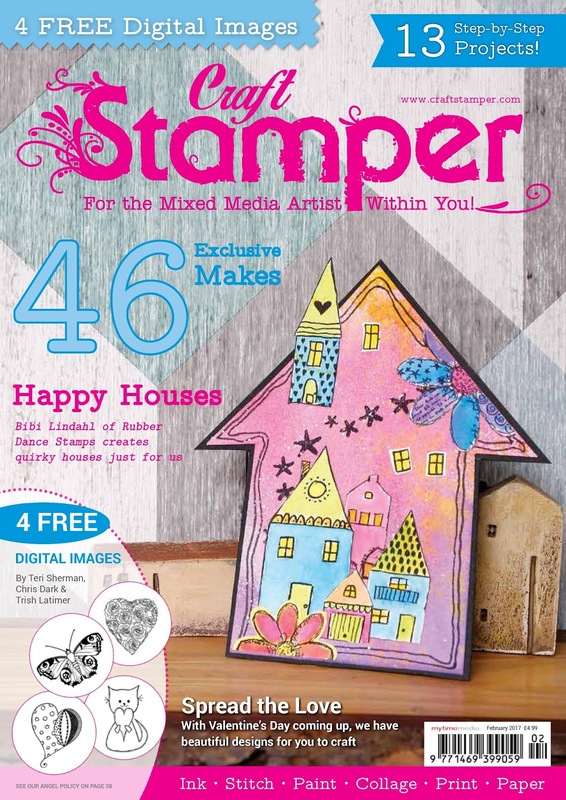 The stamps are featured in the February edition of Craft Stamper Magazine. If your creation is chosen as the winner by the Design Team, you get your name up in lights! - a two-page spread in the mag, a profile post on the blog and a guest design spot in a future challenge. What's not to like? 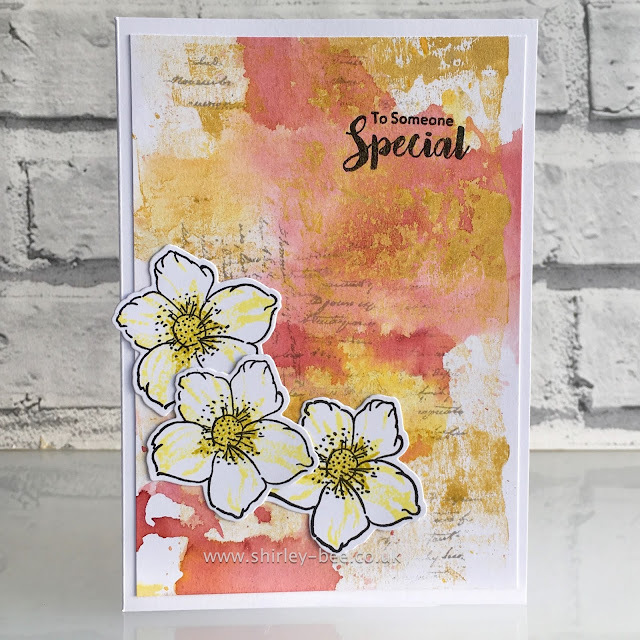 Pop on over to the Craft Stamper blog for some more fabulous inspiration from the Design Team, and get creating! It's our first Inspiration Tuesday of 2017 over at STAMPlorations, and the new year brings changes. 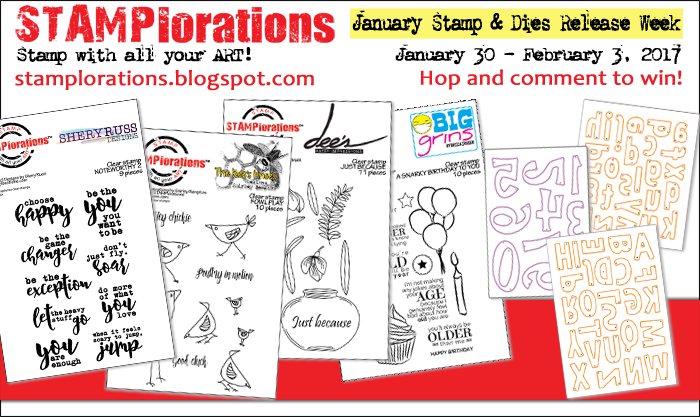 Each Tuesday we'll focus on one designer's stamps, and this week it's me!! 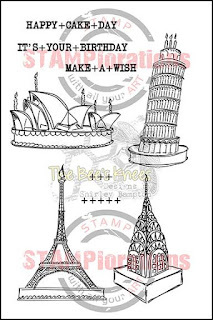 Now pay attention, because Shery will be offering great discounts on each featured designer's stamps, with a special discount on one stamp set. 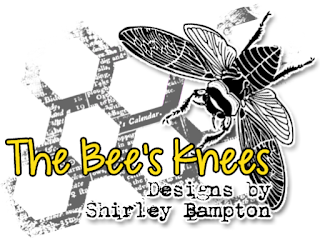 So, from 3-9 January, all of my stamp sets (The Bee's Knees) are 10% off (no coupon needed). Plus, World Birthday Cakes is 20% off (no coupon needed). But that's not all. 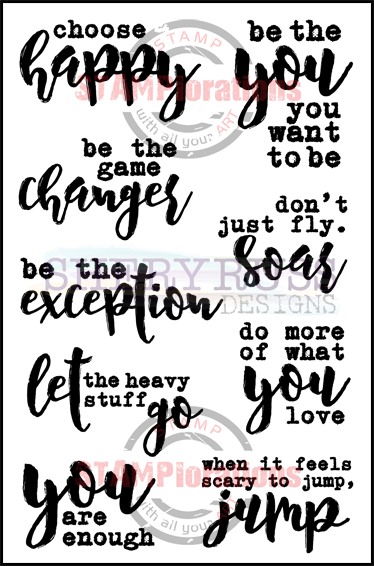 If you use my code STAMPGIRLSHIRLEY (not case sensitive - I just wanted to draw your attention to it ;) ) when ordering, you'll get an extra 20%! 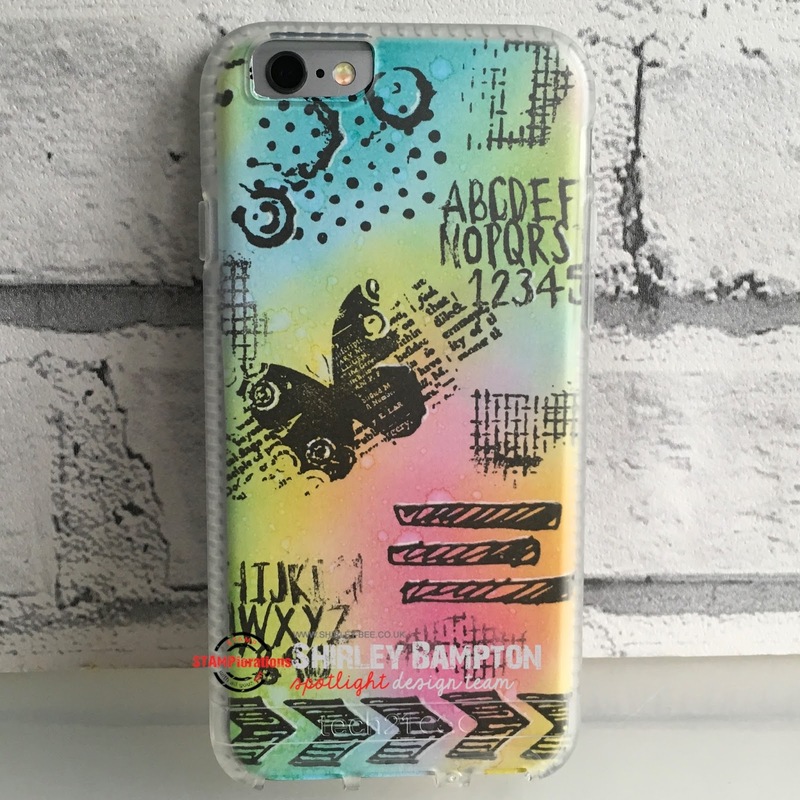 You can use the code any time to get 20% off any stamps, dies or stencils that you order - even on sale items! And as if all that wasn't enough, there'll be a monthly random drawing - 1 commenter wins a $10 gift certificate. So when you pop over to the STAMPlorations blog, don't forget to leave a comment before you pop on over to look at The Bee's Knees stamps. Oh, my card. I stamped Folk Flowers images onto mixed media paper, then watercoloured with Distress Inks. Rather than apply solid colour, I painted some loose petal shapes within the flowers. 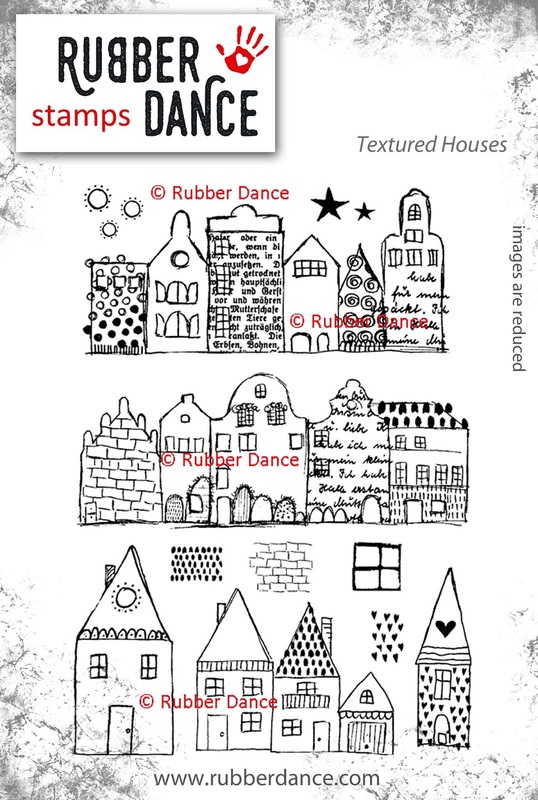 I drew around the images with a Stabilo All pencil then smudged it with a wet brush. Added a few white pen dots and called it done. Happy New Year! 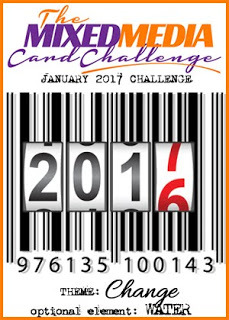 And welcome to a new year of challenges with The Mixed Media Card Challenge. To kick off 2017, our theme is 'Change', with an option of 'Water'. 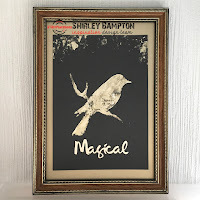 My interpretation of 'change' is a change in the seasons. 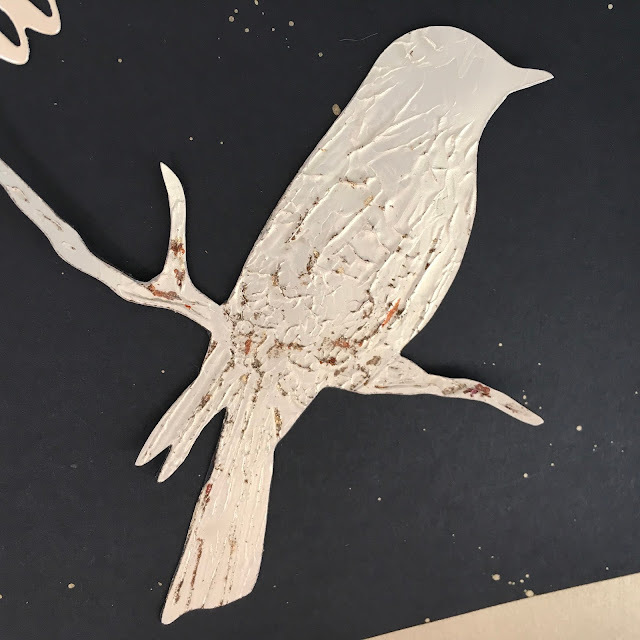 We were in the Australian summer last month for our son's wedding, then back for a northern hemisphere Christmas, so we literally changed seasons in December! 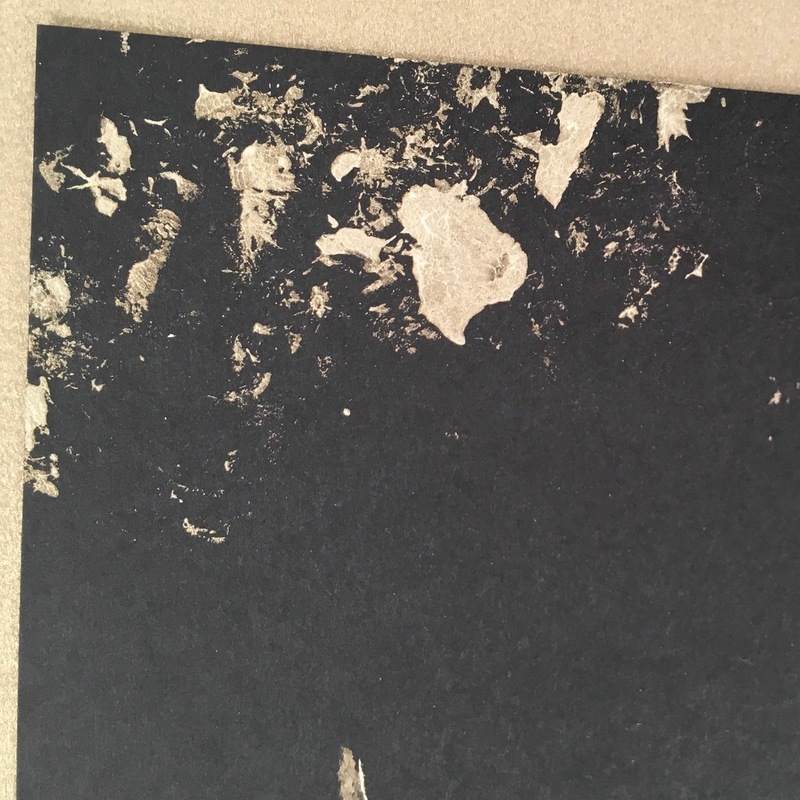 The background of my card panel is sponged Distress Inks. I placed the STAMPlorations Bold Florals stencil over the panel and spritzed with water, then dabbed the colour away - it's only faint, but it is there! Then I drew round the outline with my Stabilo All pencil, and smudged it with a wet brush. 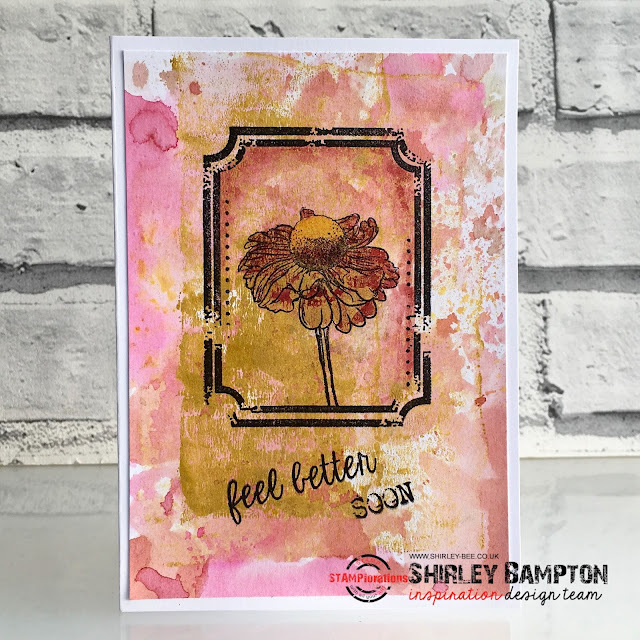 I stencilled some dots using acrylic paint through the Dots All Around stencil, then added some glass bead texture gel to the centres of the flowers, and finished off the card with a die-cut sentiment. Pop on over to The Mixed Media Card Challenge blog for some more fabulous inspiration from the team, and add your interpretation of the theme to our gallery. 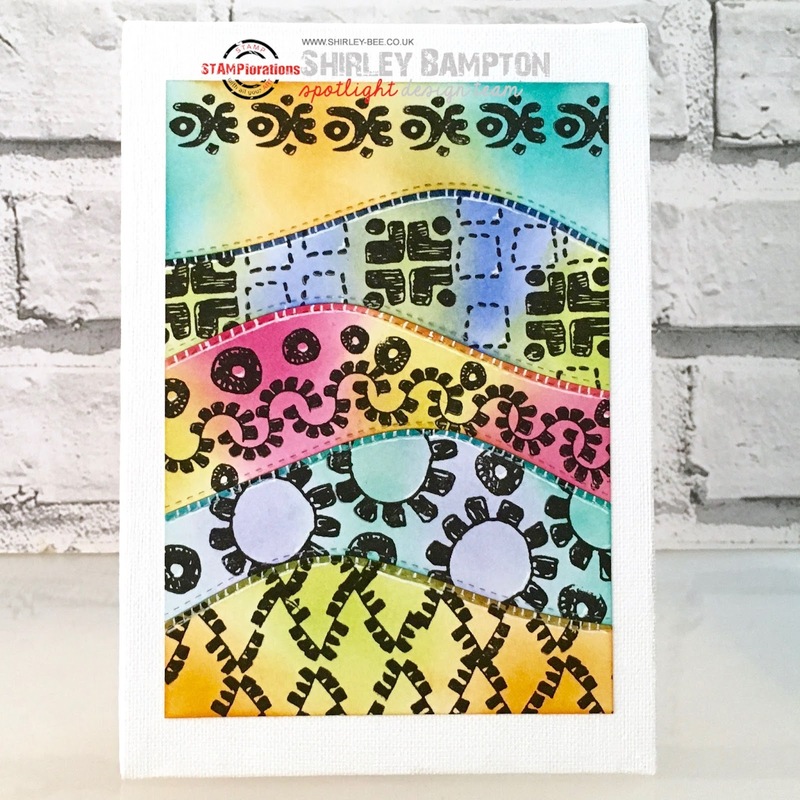 Incidentally, if you were thinking of ordering any STAMPlorations products, I've got a discount code you can use to get 20% off all regular and sale priced stamps, stencils and dies (yay!). The code can't be combined with any other offer codes. 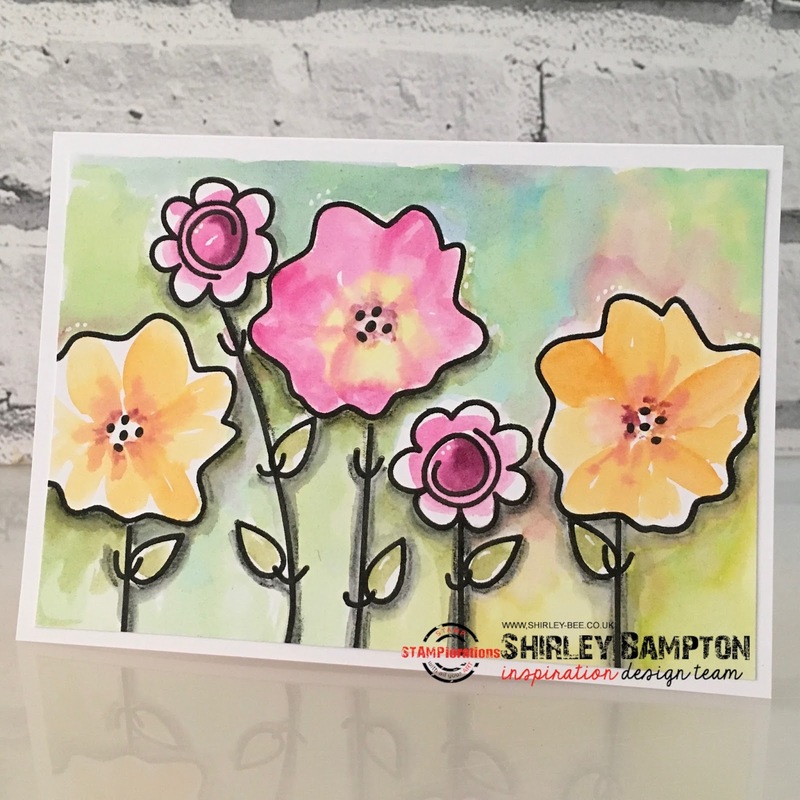 Just enter STAMPGIRLSHIRLEY (it's not case-sensitive) at checkout to get your discount.